Tali and Damian have made a really interesting find this year on Hamelin Station Reserve, the Short-tailed pygmy monitor (Varanus brevicauda). 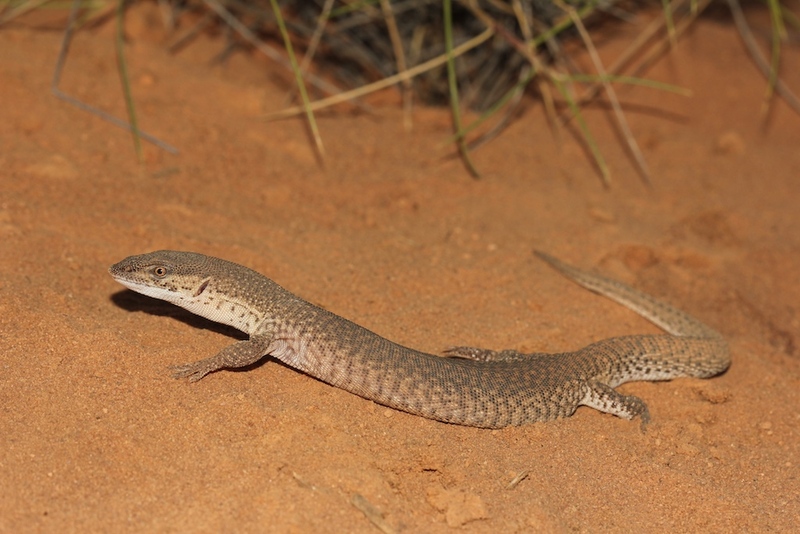 This is the first time that these tiny goannas, which are actually the world’s second smallest monitor lizard, have been recorded at Hamelin Station Reserve. In fact, official records only show these goannas occurring a fair distance north of Hamelin Station, so this represents a range extension for the species. Great work!